Copy text from a Picture. | Kanishk's Technical Blog. Copy text from a Picture. NOTE from the Blog Owner: I do not own this trick,I am just sharing this trick. 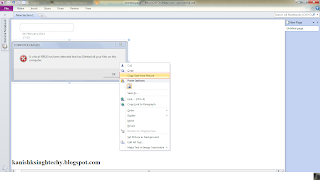 Hello,this is my latest trick about COPY ANY TEXT FROM PICTURE and paste in Notepad/Wordpad. For this trick we will Need 2 Tools.Don't worry You don't Have to Download them. First Go to Microsoft OneNote. 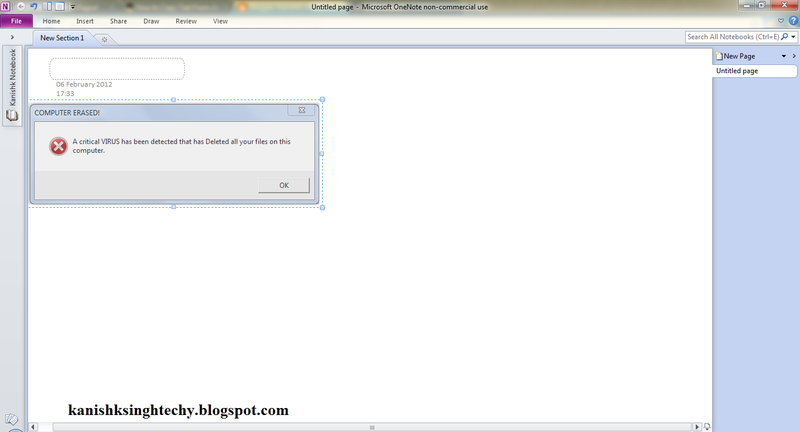 To Open it Go to Start>All Programs>Microsoft Office>Microsoft One Note. 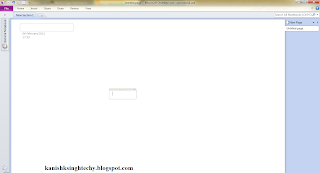 Now Go to File Menu and Make a New Notebook like MyNotebook. And Upload an Image there. 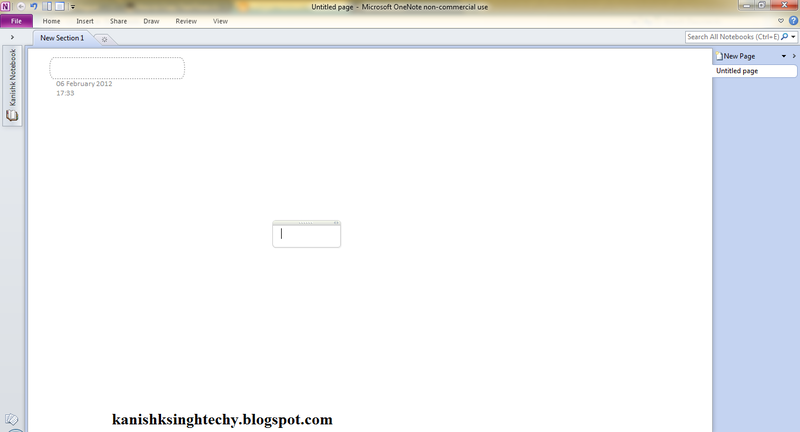 After You Upload one Image there,Your OneNote Window will look like this. 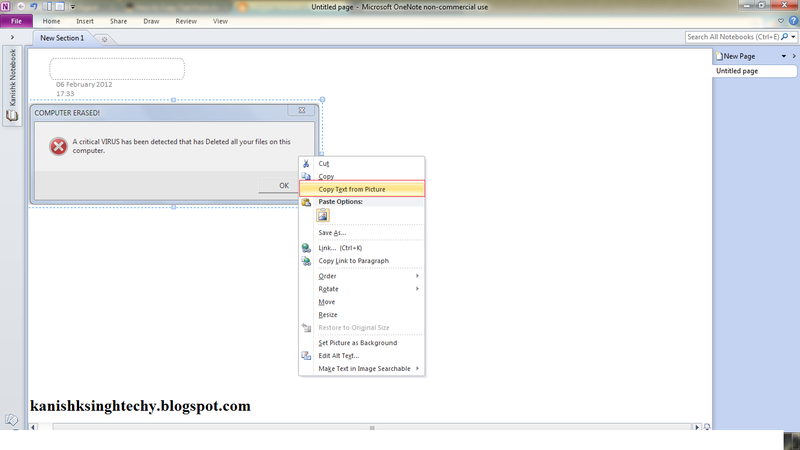 Now Right Click Your Image and Slect the option of Copy Text From Picture. 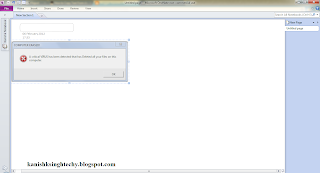 Now Go to Notepad and select Right-Click>Paste. You'll See the text from the picture on your notepad.